The upper aft spar splice is replaced with the upgraded steel splice strap and additional structural fasteners when you have your Gross Weight Increase Kit installed by Cutter Aviation. The main spar modification is addressed at two additional locations by the replacement of stronger structural fasteners and replacement of the retract actuator attach fittings with an improved replacement. Up to 900 individual parts are installed/changed-out with a work scope of more than 300 man hours. The structural improvements make for more solid feeling (less vibration) during landings & ground operations. The installation of factory-designed Vortex Generators for the wing and lower horizontal stabilizer help to reduce take-off and landing speeds as well as improve the effectiveness of the control surfaces (ailerons, elevator, and rudder). Vortex Generators allow increased gross weight while maintaining the original stall speed and improving low speed handling and stall characteristics. The original paint surface is matched and the paint touch-up is included in the kit work scope. New flight manual issued by Piper (Serial Number specific for aircraft incorporating the above kits). 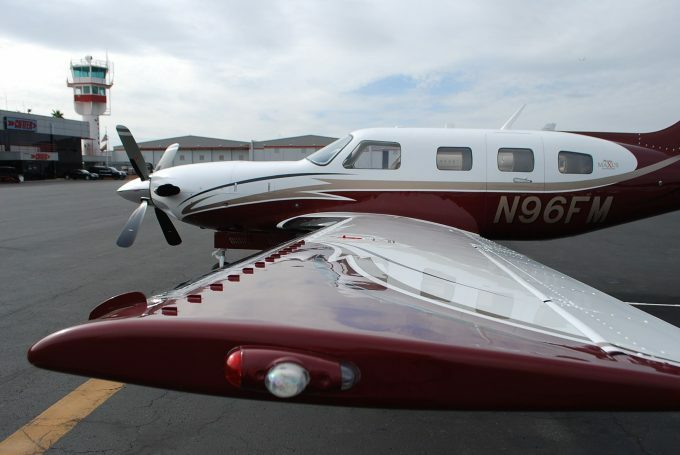 The Gross Weight Modification is accomplished using approved data, and materials from Piper and increases the gross weight a full 242 pounds. The gross weight increase kit provides an approximate 1:1 return on investment for the operator. Installation time at Cutter Aviation is 4-5 weeks. Call now to speak with one of our technical service specialists who can help you schedule your modification with minimum downtime. ACT NOW TO SCHEDULE YOUR GROSS WEIGHT INCREASE KIT INSTALLATION!